The reSolve: Mathematics by Inquiry project is a major project of AAMT in collaboration with the Australian Academy of Science. A key part of the project involves the training of 'Champions' throughout Australia who will lead cultural change in the teaching of mathematics in their school and local area. Approximately 300 Champions are currently undertaking workshops in six capital cities around Australia, many of whom will work with Professor Olive Chapman from the University of Calgary, Canada, who has an extensive background in leading cultural change and growing effective professional learning communities (PLCs). An important phase of the workshops is for Champions to ‘project out’ from their school roles and develop an 'action plan’ relevant to their context in collaboration with sector and professional association priorities. Find out more about reSolve and sign up for its newsletters at www.resolve.edu.au. Australia's first team in the European Girls’ Mathematical Olympiad (EGMO) will be competing from 9–15 April in Florence, Italy. In 2018 there are 52 participating countries including 16 non-European countries. You can keep track of the team via their blog at https://ausegmo.wordpress.com. The Mathematical Association of Western Australia (MAWA) is seeking an Executive Officer to start as soon as practicable after the start of Term 2, 2018. For more information, please contact manager@mawainc.org.au or phone 08 9345 0388. Applications close 23 April 2018. 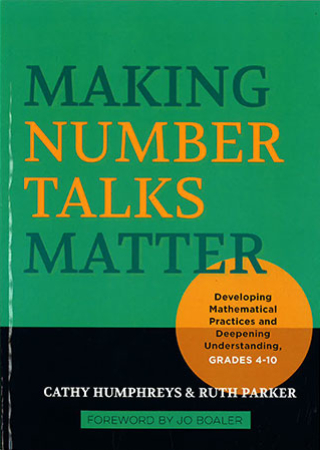 A number talk is a brief daily practice where students mentally solve computation problems and talk about their strategies – a perfect way to begin your mathematics lesson! The talks help students to work flexibly with numbers and arithmetic properties, building a solid foundation and confident disposition for future learning. There are chapters on each of the four basic operations, plus one on fractions, decimals and percent. Each chapter has many carefully selected problems that straddle a wide range of year levels, numerous samples of student responses, and suggested prompting questions. 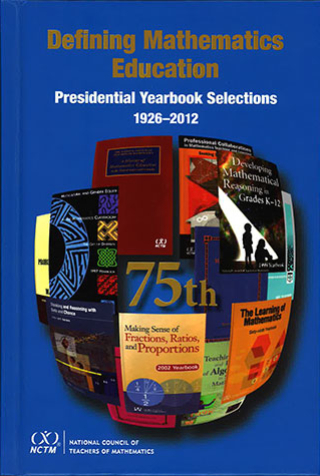 The Seventy-fifth NCTM Yearbook is a celebration and reflection of the history of the NCTM yearbooks, and includes nineteen chapters from previous yearbooks, each recommended by a past NCTM president for its enduring quality and relevance. Like the yearbooks they are drawn from, these chapters tell the story of the critical issues, challenges, and innovations that mathematics educators have faced over the past eight decades.